Our aquatics program is designed to teach personal water safety and stroke development to youth and adults alike. 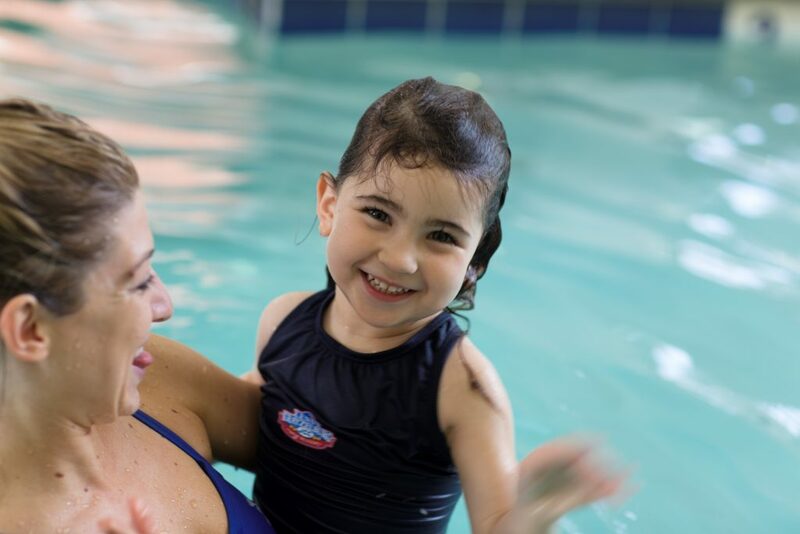 Our lessons range from “Mommy and Me” style classes for those 18 months–5yrs old that are looking to gain early confidence in the water all the way to Learn to Swim lessons for adults. Individuals learn at their own pace, and advancing to the next level is dependent on the completion of required skills. Our sessions run 8 classes at a time giving students the time and exposure needed to work on confidence in the water and stroke development. This gives each student the opportunity to explore the water at their own pace. 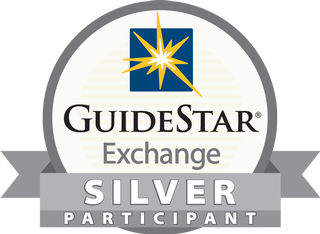 No matter what age, we have a program perfect for your child. Learning to swim can make so many lifelong activities available. Get started today! What Level Should My Child Be In? Parent-child class. Typically ages 18 months-5 years. Introduction to water skills in a slow, comfortable, fun environment for a student who is uncomfortable in the water. A caregiver must be prepared to get wet with the child for every class. Pre-Requisite: The student must be able to do 3 bobs in a row, with their whole head submerged for 3 seconds. The student must be able to do a front and back float, without support, for 5 seconds. Student should be able to swim 5 feet on front and back with no flotation. Ages 3 and over. Pre-Requisite: The student must be able to float unsupported on their front and back for 5 seconds. The student must be able to demonstrate swimming on their front and back with any combination of arms, legs, and breathing, without support, for 15 ft. The student must be able to tread water, with support, for 15 seconds. Ages 3 and over. Pre-Requisite: The student must be able to swim on their front and back, with any combination of arms, legs, and breathing, without support, for 25 ft. The student must be able to tread water for 15 seconds. Ages 3 and over. Goggles recommended. Pre-Requisite: The student must be able to swim front crawl with rotary breathing and elementary backstroke for 15 yards per stroke to the level 3 standard. The student must be able to tread water for 30 seconds. Ages 3 and over. Goggles recommended. Pre-Requisite: The student must be able to swim front crawl and elementary backstroke for 25 yards per stroke to the level 4 standards as well as the breaststroke and back crawl for 15 yards per stroke also to the level 4 standards. The student must be able to tread water for 2 minutes. Ages 3 and over. Goggles recommended. More comprehensive competitive training for ages 7 to 14. This class is a good bridge for summer swim teams and year-round USA Swimming. Prerequisites are the ability to swim 50 yards Freestyle and Backstroke, and some base knowledge of Breaststroke and Butterfly. Offered during Spring session only. Pre-Requisite: The student must be able to swim front crawl, back crawl, breaststroke and elementary backstroke for 25 yards per stroke to the level 5. The student must be able to tread water for 4 minutes, using multiple kicks. Ages 6 and over. Goggles recommended. Student should have at least been passed into level 5. This is a pre-competitive level. Students will work on and develop proper stroke technique.